CRIPPLE CREEK, Colo. — A Magic Valley woman said Feb. 8 that she helped thwart an investigation into the disappearance of a Colorado woman who authorities believe was killed by her fiance, but her motive and the nature of her relationship with the suspected killer remains a mystery. She also agreed to testify against him at his murder trial. Krystal Jean Kenney, 32, of Hansen, made the admission in court as she pleaded guilty to tampering with evidence connected to the death of Kelsey Berreth, who was last seen on Nov. 22. 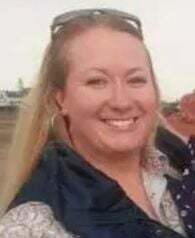 Kenney, also known as Krystal Lee, was the 2008 Rodeo Queen of the Magic Valley and worked as a pre-op nurse at St. Luke’s Magic Valley Medical Center. St. Luke’s spokeswoman Michelle Bartlome confirmed in January that law enforcement had contacted the hospital. Bartlome, however, said she “wasn’t in a position to disclose” which agency made contact. She confirmed Monday that Kenney is no longer a St. Luke’s employee. Location data suggested that by Nov. 25 the phone was near Gooding, nearly 800 miles from Berreth’s house and about 40 miles from where Kenney lived. The Twin Falls County Sheriff’s Office and the Twin Falls Police Department confirmed in a Dec. 22 statement that the agencies were contacted by the FBI on Dec. 15. The two agencies, in a joint special investigation unit, assisted the FBI in obtaining the search warrants, served multiple search warrants and “processed some items of evidence” related to Berreth’s disappearance, the statements said. Times-News staff contributed to this report. KIMBERLY — A Magic Valley woman is expected to appear this week in a Colorado courtroom in connection with the disappearance of a Colorado mom.